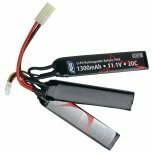 This compact 11.1V 1300 mAh Li-Po Airsoft Battery is a slim split cell battery which can be placed almost anywhere in an AEG airsoft gun. 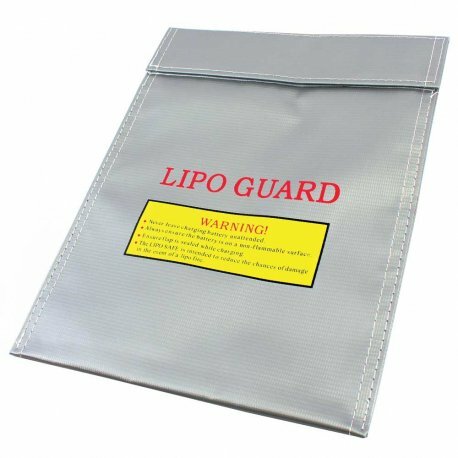 Being a Li-Po battery, the overall size is reduced, but performance is not sacrificed. 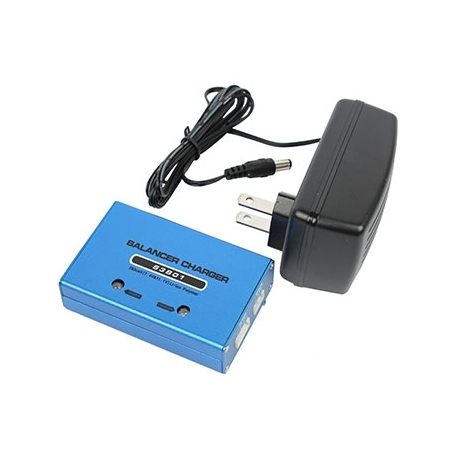 This little battery pack is perfect for PDW's, SMG's and other lightweight and compact AEG airsoft guns. Li-Po batteries give a stable rate of fire throughout its use. There is no decrease in performance when firing, and the battery can be charged between games to maximize your time on the field. Note: To prolong the life of a Li-Po battery, never completly discharge the battery. When your rate of fire drops, do not continue to fire, remove the battery and charge the battery. When charging you MUST use a Li-Po compatible charger. There are no exceptions to this, using a non Li-Po compatible charger will damage the battery. Whenever storing battery, ensure the battery is fully charged first.